Sony Yoshino flagship phone to come with a 5.5-inch 4K display (3840 x 2160 pixels), powered by the Snapdragon 835 processor with 4GB or 6GB of LPDRR4 RAM. On top of that, the phone is expected to come with the new Sony IMX400 image sensor that should deliver a noticeable improvement in image quality. 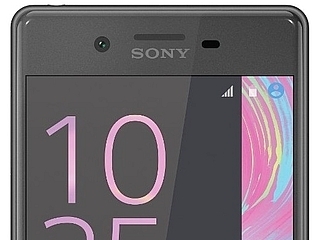 Sony BlancBright said to feature a 5.5-inch screen, but this one is said to have a more reasonable Quad HD resolution (2560 x 1440 pixels). Rumors say that it could be powered by either the Snapdragon 835 or the Snapdragon 653, along with 4GB of RAM. This phone is also said to have the new Sony IMX400 camera sensor. Sony Keyaki (Sony G3221) to feature a 5.2-inch display with a Full HD resolution (1080 x 1920 pixels) powered by a MediaTek Helio P20 with 4GB RAM with 64GB of internal storage. This handset is rumored to come equipped with a 23MP main camera, and a 16MP front camera. Sony Hinoki to come with a 5-inch HD (1280 x 720 pixel) display, running on the MediaTek Helio P20 system chip with 3GB of RAM and 32GB of internal storage. It is also said to have a 16-megapixel rear camera and an 8MP front camera.